I never bet that much and hence why I tend to stick to the big prices. These H2Hs are just for interest really. Hmm this ITT is actually really interesting, a bit nippy you might say. Can't go past the Astana lads but don't mind Jempy either. On the road, Eddie Dunbar's performances in the Classics have boosted morale ahead of the Tour of Yorkshire, which starts tomorrow. "I honestly wouldn't be surprised if we won it, Eddie is just in sensational form," says the team owner. A distinctly non-technical finish today might mean Dumoulin is slightly less insistent on being right towards the front (though crashes do often occur on these long straight finishes). I'll take Dempster to beat Würzt at 2.2 or so. Sbaragli crashed the other day, and he hasn't had a good sprint for a year anyway. Time for Dempster (and Boivin?) to step up and give it a go. Reasoning was a bit off as the finish was very fast and quite chaotic, but a wins a win (even if it was by just 1 place!). If a break doesn't take it, these two should be part of medium sized group that will contest the finish. Could sneak away with a late attack if the bigger names are watching each other. Sbaragli crashed the other day, and he hasn't had a good sprint for a year anyway. Make that a year and a day. The Milky Bars are on me! Is that the biggest priced single bet you've ever had come in? Nah. A few years back now I had golden couple of weeks which was topped off with Wellens winning his first Eneco at 401ew. It wasn't even on PP. My guess is they shut or restricted your account quite swiftly after that. Couldn't resist the big prices on the second two. First win on a cycling bet for ages but at 8/1 it seemed a reasonable gamble given the form he'd shown so far for a finish like that. Here I was thinking I'd be clever and get on Nieve but turns out he's favourite. Will have to take Kreuziger instead. ohh, but Kilian Frankiny said he wants to win today! Capecchi @ 1000 (Betfair win only) to not just get his first top 10 in four years, but crush the monster breakaway he finds himself in. Also what has the world come to with Jack Haig @ 15s. It's Derby day and in the spirit of Leadbelly's bets on the Grand National I'll be having £1 e/w on Zabriskie. Okay it's a very strong Sky TTT squad on paper, but even without their a-team here I think BMC can give them a run for their (well it's mine really) money. If we discount the Hammer TTT when BMC had multi mechs one after another, Sky haven't won a TTT head to head between the two of them since the 2016 Vuelta (I think). Rui Costa a three time winner here. Do I think they'll win? No, but 81 is still to big. Same deal as four years ago with a multi on all of a country's group games being overs. Thanks to search's post on the jersey contenders we know the KoM this year is weighted towards non-GC guys in breaks. Molard has said he'll go for it on the punchy finishes (Quimper, Mur de Bretagne and Mende) and then try for the breakaways in the second half of the tour ie. 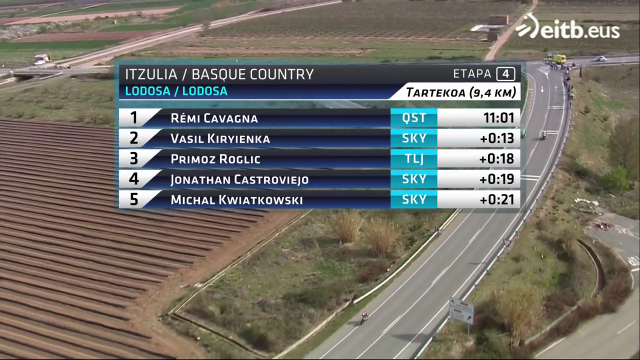 the half with all the serious KoM points. Bouet's team mate might be interested in the jersey again, but has shown no form this year, so I'll stick with the in-form Max.